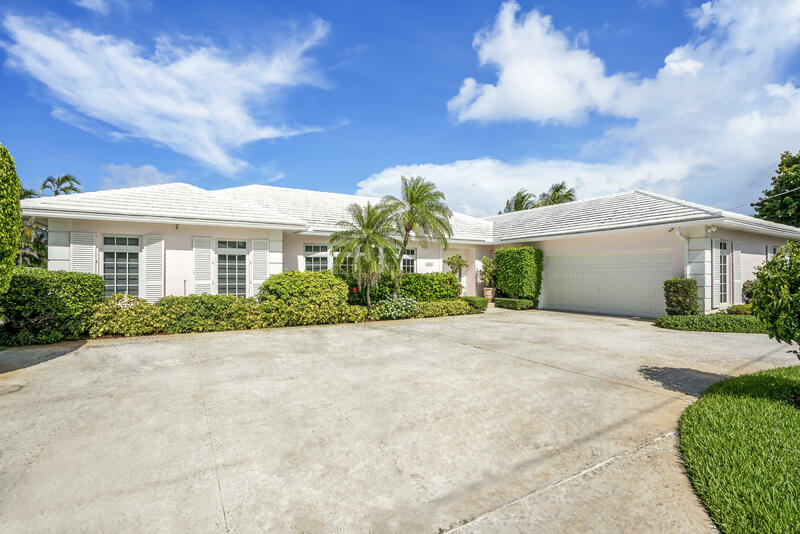 An unrivaled opportunity to own a piece of Palm Beach waterfront for under three million! This desirable Bermuda style home, designed by architect William Ames Bennett, is on the market for the first time in nearly 25 years. The home has been well maintained and tastefully updated over the years (custom baths and kitchen, impact glass, new A/C, patio, dock etc). Master bedroom, dining room, family room and guest bedroom open to backyard and offer sweeping intercoastal views featuring mature mangroves inhabited with Blue Heron, Ibis, Pelicans, Snook, Redfish and Manatees to name a few. New seawall, dock and boat lift to launch paddleboards or small boat with ease. To further enjoy the South Florida lifestyle, walk to beach and tennis courts at Phipps Ocean Park. Waterfront: Intracoastal, Seawall Yes 120 Ft.